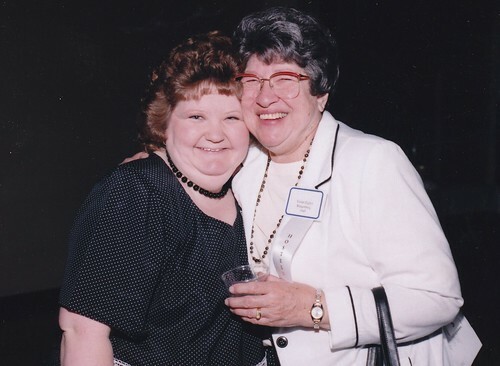 Violet took on the role of supporter and prayer warrior for hundreds of students over at least 50 years, actively praying for and providing personal contact with them through notes, dinner invitations and visits. 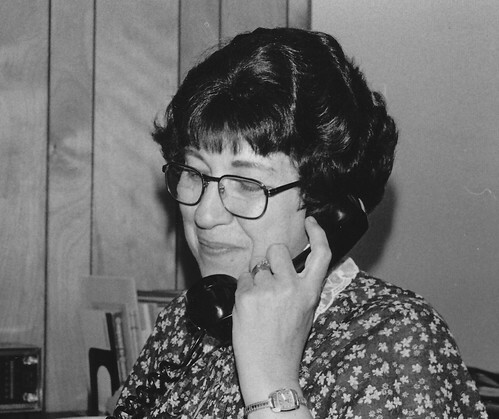 She also played an active role in alumni activities through Phonathon, Alumni Council-of which she is emerita, and countless other ways connecting with students. It is rare when the Ringenbergs didn't show for anything the Fort Wayne campus alumni are doing. She also led the Prayer Warriors for the Fort Wayne Alumni and Friends, keeping an active prayer communication for alumni and their families. 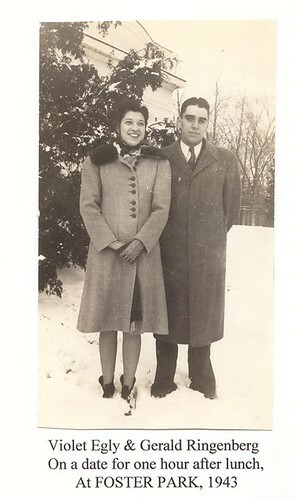 Violet Virginia Egly Ringenberg, born July 21, 1923, married Gerald Wayne Ringenberg on her birthday, 1945, and passed away February 4, 2013. They met in college and dated for 3 years before Gerald proposed. One can hardly mention one without the other. They have worked together complimenting the other for the last 67 years! 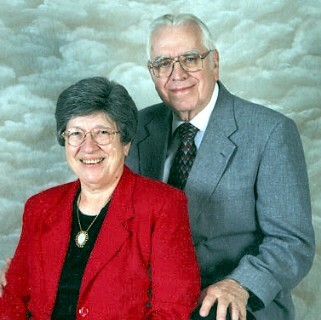 Gerald’s ministry was enhanced, strengthened and encouraged by the love of his life, Violet. Likewise, with Gerald’s support and blessing, he encouraged her in her personal ministries also. Violet’s love has always been her Savior, her husband and family, and then her Alma Mater and the family from that institution. It is no surprise that once she and Gerald returned to the area, she became a strong advocate for those students at FWBC. Whether teaching children or adults; directing choirs; or working with local rescue missions, Violet always made time for the students and needs of FWBC. She quickly became involved with the Women’s Auxiliary which would later be called Friends of FWBC. 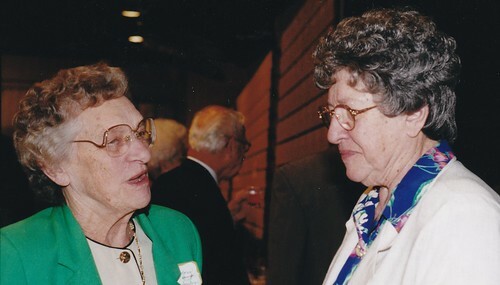 From the 1960s to the closing days of 1992, she was an active prayer parent. She had over 100 students that were her “kids.” Through this ministry she would send encouraging notes, dinner invitations, and pray regularly for her prayer student. Even after the year’s commitment, often Violet remembered all her “kids” in prayer as they came to mind. She knew each one personally. 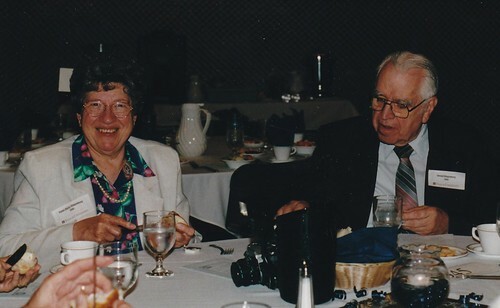 She also played an active role in alumni activities through Phonathon, Alumni Council, 1945 Class Scholarship, Housewalk Committee, every Projects committee except for faculty lounge and cafeteria projects, and Prayer Warriors for FW Alumni and Friends. It is rare to not see the Ringenbergs at every special event for the Fort Wayne campus. About the only thing that keeps them from that is Violet’s recent illness. Despite her illness, she is still advocating to the Father on behalf of her family, her friends, and her beloved Bible College family. She loves to visit still. She loves to know how to pray and if Violet and Gerald are praying, we all know, God has heard! I have so many fond memories of Sundays in Woodburn at the Ringenbergs during my college years - the meals, the fellowship, and a place to call "home" for a while. 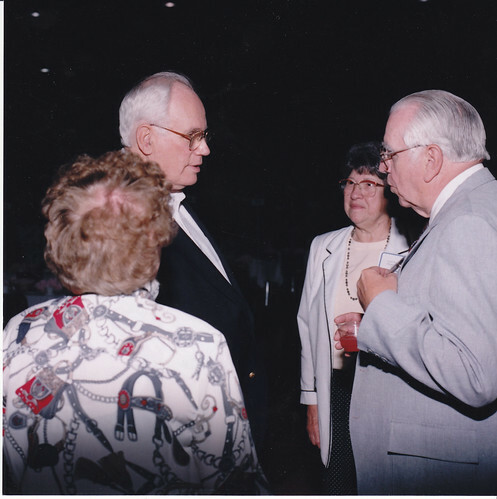 But reflecting back, I realize the lasting effects of those afternoons and how much the example of "Mom" Ringenberg's servant's heart has had on me through my life. I'm grateful for that, and thankful to have known this gracious woman of God. What a godly and vivacious woman of God! who was so encouraging to so many. As young students and youth pastors at Woodburn Missionary, I remember, with fondness, the warmth and conversation in their home during Sunday afternoon meals. I speak for Gaye as well when I say that I am so very grateful for her abundant grace of giving in reaching out and touching the lives of us way-faring students and to feed and encourage those, such as myself, who were so undeserving! She exceeded "Hoosier Hospitality" and exuded the kindness and grace of the Savior! I thank God for her "motherhood" and her prayers. I never had a praying mother until she stepped into my life as a student. I have even spoken of her to my children. 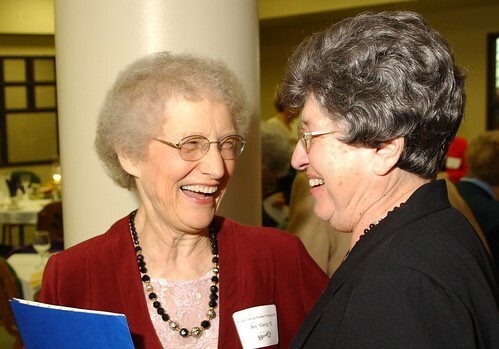 Having many conversations with her during phone-a-thons, Mom R. had been such a wonderful representative not only of the college, but the Lord himself. May our great God give his richest and fullest blessing of strength, comfort and remembrance to all of you, as her family, during this time. You are loved and covered in prayer and she is now experiencing the fullness of God’s grace and love that she displayed throughout her life. Only eternity will show the impact of such a faithful life.